Tired of your wooden Hair Sticks and Hair Forks breaking ? This is the end of that problem ! 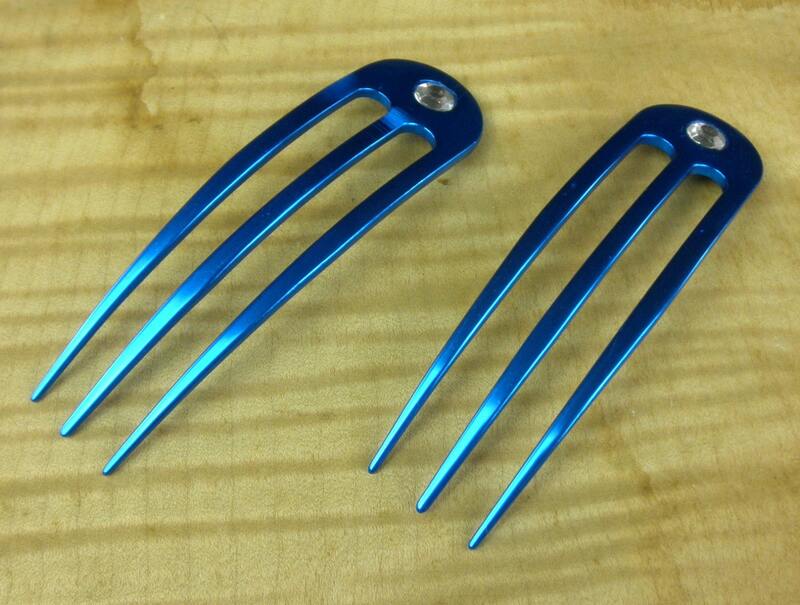 This sale is for TWO Aqua Blue Colored Anodized Aluminum 4.9 inch Curved Three Prong Hair Fork. Each has a Rhinestone added to them to add a little sparkle. They are 4.9 inches long and a about 1 3/8 inch wide and 1/8 of an inch thick. This Hair Fork is curved to fit the contour of your head. 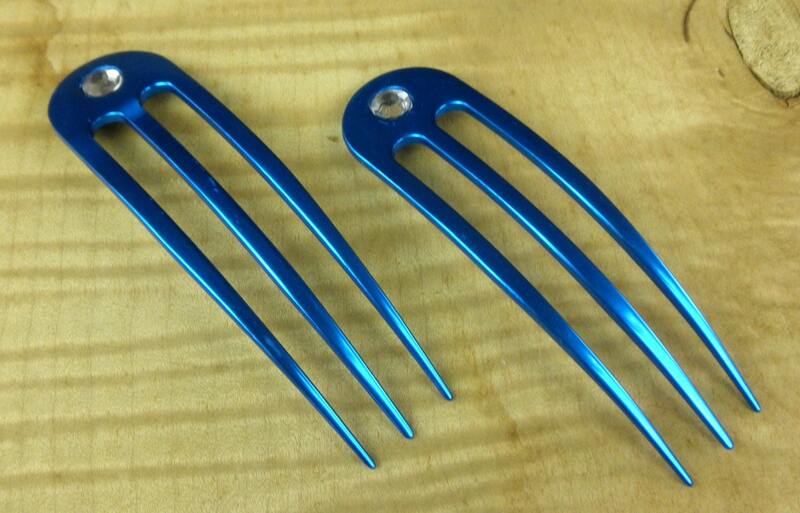 The Functional Prong Length (FPL) is about 4" for this Aluminum 3-Prong Hair Fork and varies within 1/4" from piece to piece. The space between the two prongs is about 3/8". 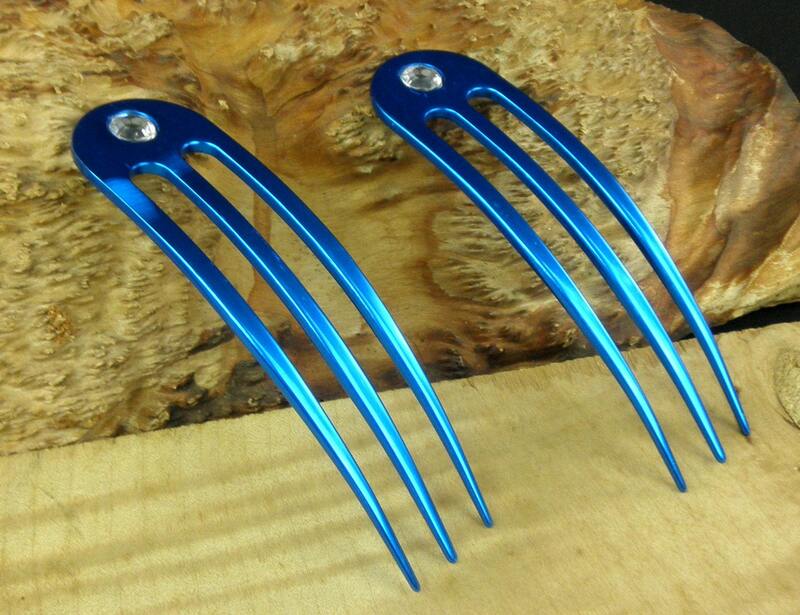 You get TWO Aqua Blue Colored Anodized Aluminum 4.9 Inch Curved Hair Fork in this sale ! 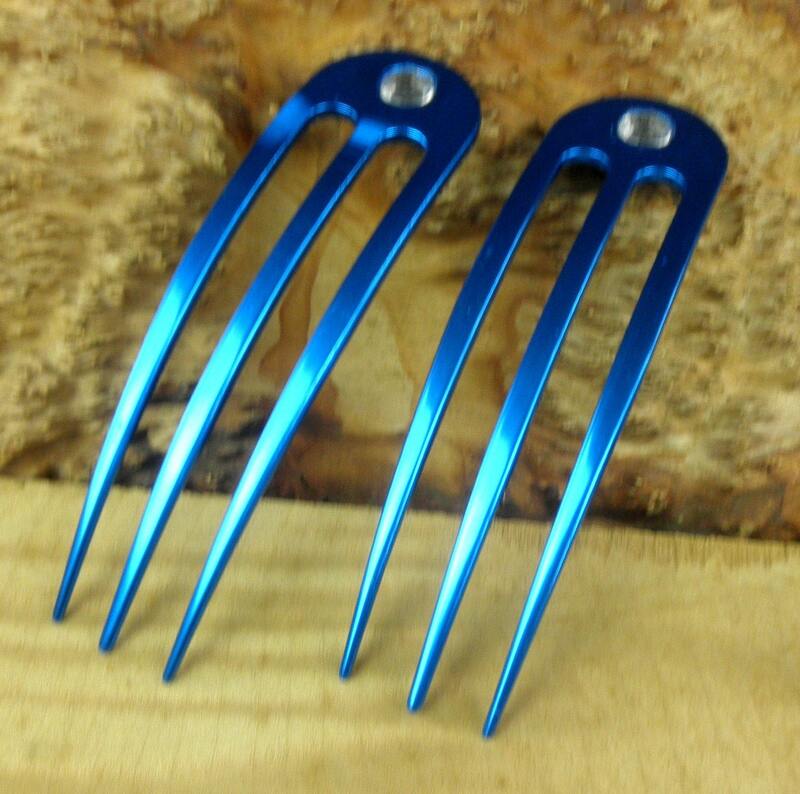 These Anodized Aluminum Hair Forks are very strong and will not break no matter what kind of hair you have. I should caution you that these are not toys and can be dangerous if your children get their hands on these Aluminum Forks. Common sense has to be used with these strong forks and you can get injured if you fall on the tips of these forks while running or exercising. The difference between these and wooden forks is that the wooden forks would probably break but the Aluminum will puncture your skin. In order to Anodize the Hair Forks a 3mm hole is drilled in the top part of the Hair Fork that I have covered with a 10mm Rhinestone to add some sparkle. If you do not like the Rhinestone it can be removed from the back as the hole goes through the entire Hair Fork. If you would rather add your own "Sparkle" I do have these without the Rhinestones so "Convo" me and we can work out what you might want. Not only are they Unbreakable but they are also Waterproof !! If you find any of my Hair Forks not to your liking I will take them back. 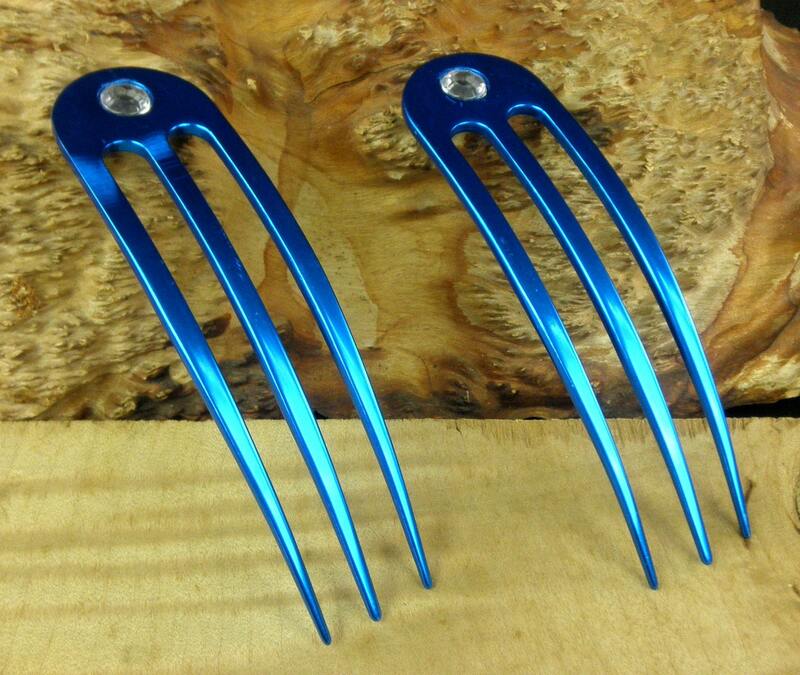 Very nice and really sturdy hair fork, works great and is lovely!